But since we live in Florida we might as well say welcome SUMMER! 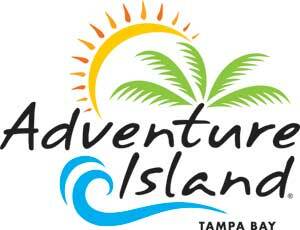 And to help up celebrate the amazing Tampa Bay Weather we are having, Adventure Island is offering a preview weekend! Hey Tampa, Lisa here with an update you won&apos;t want to miss. This weekend Adventure Island is going to have a preview weekend to psych everyone up for their season opening on March 19th. And good news! This season, Adventure Island will be open from 9am to 9pm! And during the Tampa Tourism season check in for special extended hours. Of course Adventure Island, like Busch Gardens offers a pay for a day, and play weekdays all season ticket. That ticket lasts all the way through September 5th. You can also visit Domino&apos;s in Tampa, Fort Myers and Orlando to get a $10 off promotion code for a single day admission ticket, good until May 15th. Island Nights return June 9th and last through August 13th. From 5 to 9pm enjoy live music, Polynesian dancers, good food and family friendly beach activities. Rent a cabana for a shaded exclusive spot for your family and friends. Each cabana includes four chaise lounges, a locker, a mini-fridge with assorted drinks and four souvenir towels. Adventure Island is a Key West themed paradise with rides, beaches, and activities sure to keep everyone in the family entertained. That&apos;s all for now, but check back soon for more Things To Do In Tampa Bay!